According to New York Daily News, the Champions Basketball League filed a $250-million lawsuit against the BIG3 for allegedly taking their players and ideas. 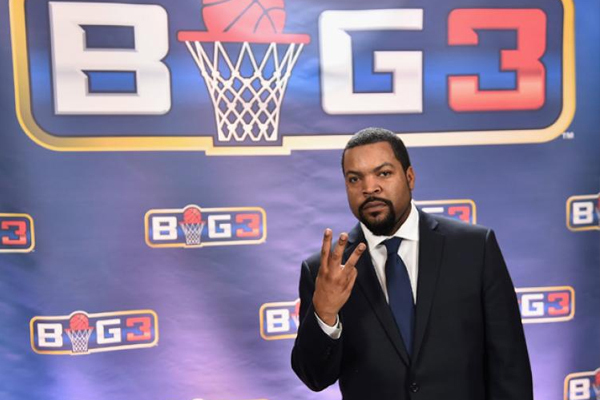 Filed by CBL founder Carl George at the Manhattan Supreme Court on Friday (September 1), the lawsuit alleges Ice Cube and BIG3’s co-founder Jeff Kwatinetz only warmed up to the CBL players to steal their ideas after CBL’s 2014 launch. George indicated that the two leagues had originally agreed to work together with the goal of eventually competing with the NBA. The CBL recruited former hoop stars, but didn’t sign them to exclusive deals in order to give the new league some publicity, but it backfired when the BIG3 went back on its word by signing those players. When certain players expressed their desire to participate in the CBL games, Mr. Cube confronted the players personally about playing in the CBL and threatened the players that they would be fined, not allowed to participate in the 52 percent of revenues bonus pool, or replaced on their teams. The BIG3 recently wrapped up its season with Trilogy going undefeated and winning the championship. Ice Cube has not yet replied publicly to the lawsuit.